This item Cylinder Screen Printer fits to print on the surface which the material is plastic, glass, ceramics, wood, metal, and other hard material, and the shape is cylinder, cone, an oval. For example, our cylinder Screen Printer can print products including Lipstick case, cosmetics bottles, detergent bottles, beverage bottles, cups, filters, cans and so on. 1. Automatic ink scraping, ink withdrawing and worktable lifting. 2. Printing stroke and speed is adjustable to meet different needs. 3. Automatic squeegee balance-keeping ensures equal printing pressure. 4. Worktable and screen frame can be adjusted slightly in horizontal and vertical direction. 5. High precision printing and easy adjustment. 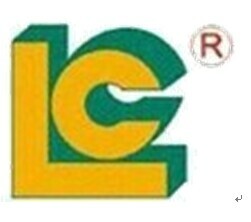 Luen Cheong Printing Equipment Ltd. was specializing in manufacturing printing machines, including: various Pad Printer, silk screen printer, Hot Foil Stamping Machine,UV Curing Machine for 26 years. We passed ISO-9001-2000 certification in 2001, and we are a member of SGIA and all of our industrial printers had passed CE standard. We have over 100 countries` customers and had a good cooperation. Looking for ideal Semi-automaitc Screen Printer Manufacturer & supplier ? We have a wide selection at great prices to help you get creative. All the Screen Printer for Cases Packaging are quality guaranteed. We are China Origin Factory of Screen Printing Machine for Cups. If you have any question, please feel free to contact us.